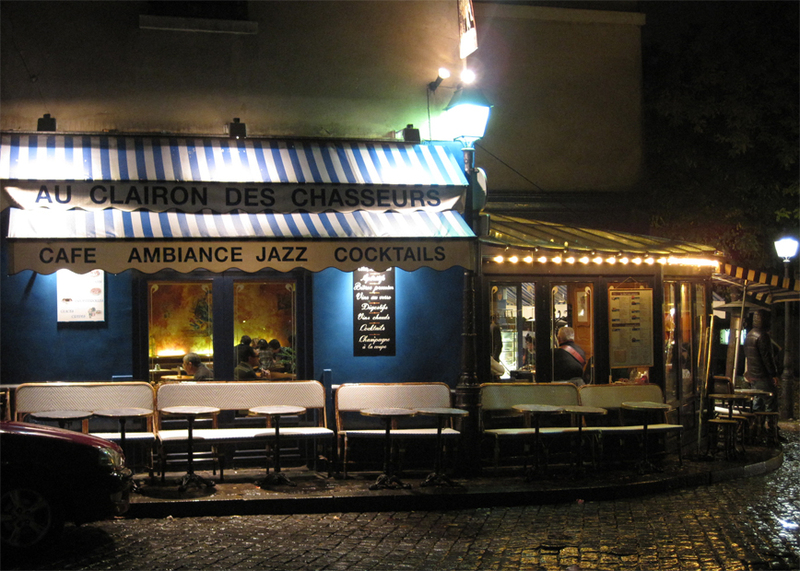 During this snowy day in Montreal, I’m thinking of a rainy evening spent in Montmartre. It was quiet. The streets around Place du Tertre were for the most part, deserted. We stopped into a small café having no plans, no timetable, and all was right in our little world. This is one of the marvels of Paris. You’ll find at night, the arrondissement which was crawling with tourists during the day, has turned back into a neighbourhood. The museums are closed. The artists of the square have long gone home. You can sit in a café or small bar and feel you’re a part of something special. And you are. You’ll easily imagine the time when Montmartre was home to the bohemian crowd. Great books were being written perhaps right at the table where you’re sitting now. Masterpieces were being painted and music composed all within a stone's throw. Even better than remembering the artistic past, you'll be creating your own personal moment in history when you sat in a quiet café on a rainy evening in Montmartre, and the moment was yours. It sounds lovely. This post reminds of of the Woody Allen movie, Midnight in Paris. Have you seen it yet? I loved the movie Kara. I have to get it on DVD if only to see the scenes of Paris again.